It’s the end of another week and that means that it’s time for your weekly dose of our freebie. Happy Freebie Friday! In honor of our game Spirit Lake having an awesome update this week, we thought it would be a great idea for this week’s freebie to be from Spirit Lake. 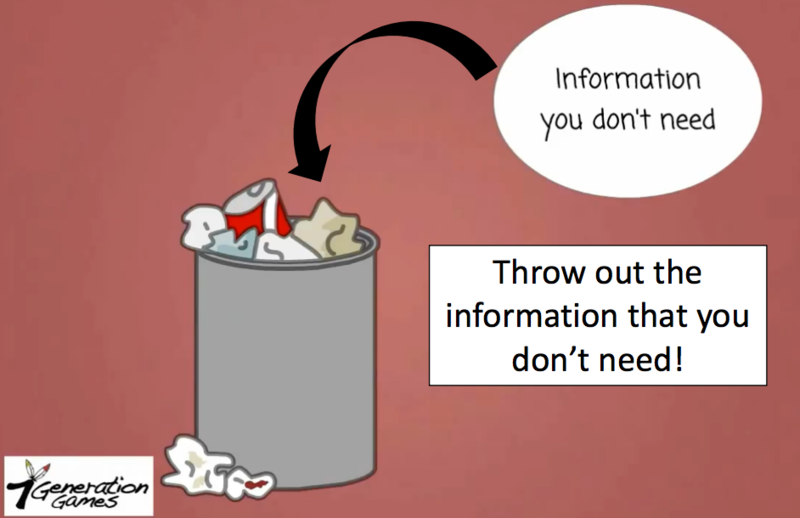 The freebie this week is a powerpoint and pdf on problem solving titled “Problem Solving: Throw It Out”. This powerpoint and pdf teaches you how to look for essential information in a math problem, therefore, throwing out non-essential information and making it easier for you to solve the math problem. You can download the powerpoint and pdf files below. Resources like this one can be found on our Teacher Resources page. We provide resources such as historical photos, vetted links, clip art, and activities for our games as supplement material that you can use in your classroom, at home, or on your blog or website. Be sure to check out our teacher resources page for your educational resources needs. Also make sure to come back next weekend for another installment of our Freebie Friday! Have an awesome weekend! Make your weekend awesome by buying our great educational games! Buy our games here!